According to W3techs.com, PHP is used by 82.6% of all the websites whose server-side programming language is known. That’s why we, the ClusterCS team, keep up with the latest trends and bring you news about the 3 essential PHP conferences for 2017. Back to the numbers, breakdown of them is important in order to get the big picture. Version 5 is used by 93.3% of those websites, while version 7, released in 2015, has found its way on less than 6% of websites. Why? Well, if you’re a developer or a sysadmin, you know that „update” isn’t something done lightly, no matter what the market trend is or what the higher ups dictate. While the majority of developers keep working with PHP 5, as a programmer it’s extremely important to keep up with what’s new, so that’s why we compiled this list. Here are the 3 essential PHP events to watch (or attend, if you’re lucky) in 2017. Boat trips, wine tasting, a triathlon and, of course, cutting-edge PHP experiences, with a focus on the Symfony framework. This is what PHP Summer Camp brings to the table. When it comes to PHP Conferences, PHP Summer Camp takes the main prize for fun. Taking place in Rovinj, Croatia over 4 days, this event brings 12 accomplished speakers, from Symphony Core devs to Sensio Labs representatives, and tries to combine fun with learning. While you might not get to see the conferences recorded on Youtube, at least you’ll have a few Facebook or Instagram moments to glimpse. Ryan Weaver will talk about Symphony Flex, the new way of developing apps that allows you to start micro and scale up. 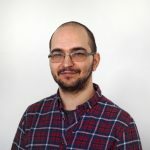 Hannes Van De Vreken will host a hands-on workshop on Elasticsearch, while Paula Čučuk and Antonio Perić-Mažar will be the hosts of „Building real-time apps with Symphony”. If you work with Drupal, Magento, WordPress, Symfony or Laravel, you have a place at php[world]. A large-scale conference held over 2 days, last year’s edition had over 20 speakers: developers from Magento and Google, to NPR or SensioLabs. Among them was Larry Garfield, the principle architect of the Drupal 7 database system. The speakers for 2017 haven’t been decided yet – there’s an open call that will last all of June, then we’ll know who the main guests are. The world’s first when it comes to PHP conferences, with over a decade of history, has events in both spring and autumn. Between October 23rd and October 27th, International PHP Conference will host over 90 best practice sessions, multiple workshops and more than 60 international top speakers. Among them are Lorna Mitchell, a Developer Advocate with IBM Watson Data Platform, Terrence Ryan, Dev Advocate for Google Cloud, and Miro Svrtan from TicketSwap, a devops enthusiast that started using PHP in 1999. Of course, we only listed here 3 major events. Every region and country has a few large PHP conferences or at least a some medium-sized events, because well…PHP is the undisputed king. What about you? Do you have any plans for 2017, will you be attending any events? Let’s share plans below.